If you were arrested for disorderly conduct in New York City, it’s important to fight the charges against you. 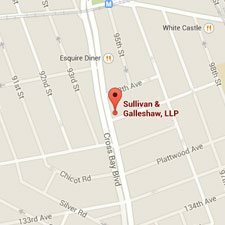 Don’t go it alone: call on the experienced attorneys of Sullivan & Galleshaw for help. 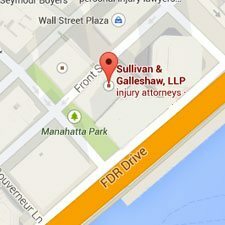 We serve all five boroughs and the surrounding metropolitan area, and offer free consultations for new clients. To start discussing your situation in a free, confidential legal consultation, call our law offices at (800) 730-0135. There is good news and bad news about your disorderly conduct charges. The good news is that disorderly conduct is not actually considered a crime: it is technically a violation, which is a less serious matter. The bad news is that a guilty verdict can still result in jail time and costly fines. New York defines a violation as any offense whose jail sentence is capped at a maximum of 15 days, excluding traffic infractions like reckless driving. You were being excessively loud. You swore or used other “abusive or obscene language” while in public. This includes making obscene gestures, most commonly the middle finger. You were disrupting a lawful meeting or assembly of people, without any valid authorization for doing so. You and/or your vehicle were in the way of foot traffic or road traffic. You were meeting with other people in a public place, and refused to leave when ordered by a police officer. You were doing something which created a safety hazard for other people, without having any legitimate reason for doing so. As you can see, some of these scenarios are more vague than others. For example, what constitutes an “unreasonable” amount of noise? How long and for what reason were you allegedly obstructing traffic? Could your behavior truly be considered “tumultuous”? This ambiguity highlights the importance of having an experienced defense lawyer on your side to fight the charges. It may be possible that none of the legal definitions for this offense were applicable to your situation. Because disorderly conduct is a minor violation, the processing procedures are different from those which apply to serious crimes. Instead of bringing the offender into custody, the arresting officer will typically issue a document called a summons or pink summons, which quite literally “summons” the recipient to court at a specific date, time, and location. Many people fall into the trap of believing it is not important to obey the summons, because disorderly conduct is not technically a crime. They reason that New York’s court system is so bogged down by misdemeanors and felonies, their violation will simply fall to the bottom of the priority list until the charge is forgotten altogether. This is a major mistake. If you ignore your summons and fail to appear in court when directed, the judge will issue a bench warrant for your arrest. This bench warrant is valid throughout the entire state of New York, and will never expire or disappear. If a police officer ever pulls you over for a routine traffic stop, he or she will see your warrant and will be obligated to bring you into custody. Far from avoiding the charges, you will simply make your legal situation worse than it originally was. 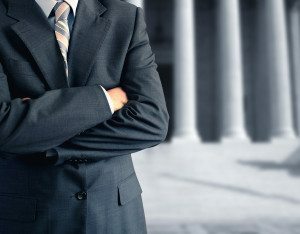 Going to court can be an intimidating prospect, but appearing as ordered is always your best option. If you have legitimate reasons for being unable to appear when ordered, you should contact an attorney immediately for help. Your attorney will be able to appear in court in your behalf. This is called authorization to appear. Authorization to appear may only be granted to a lawyer: you cannot simply have a friend or family member stand in for your absence. 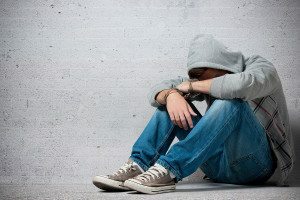 As mentioned above, people found guilty of disorderly conduct are subject to jail time and restitution despite the non-criminal classification. Fortunately, the maximum possible sentence is limited to 15 days. While the maximum fine is limited to $250, pleading guilty can result in much larger mandatory surcharge fines under the NY Penal Law. As an alternative, it may be possible to negotiate a plea deal to an offense from the NY Administrative Code, which does not carry the same mandatory surcharges as offenses under the Penal Code. While you can be ordered to go to jail or pay a fine, there is one major advantage to disorderly conduct’s status as a non-criminal violation: you will not receive a criminal record. When it comes to demonstrating guilt or innocence, the burden of proof falls on the prosecutor handling the case. If the prosecutor is unable to supply sufficient prima facie evidence, or evidence which supports a key component of the accusations, it may be possible to have the case dismissed. If you have related misdemeanor charges, such as resisting arrest, it may also be possible to seek “adjudication in contemplation of dismissal” (ACD) for your case. An ACD can eventually result in your charges being dismissed, provided you avoid additional arrests and comply with other rules during a probationary period while the charges are suspended. If you’ve been arrested, don’t ignore the charges. 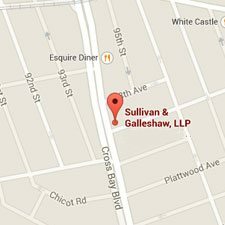 Call the New York disorderly conduct lawyers of Sullivan & Galleshaw at (800) 730-0135 for a free and private case evaluation.